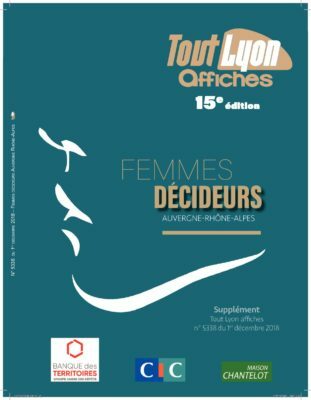 At the end of 2018, we also have the pleasure of seeing our CEO, Eléonore Blondeau, elected among the Women Decision-Makers of Auvergne-Rhône-Alpes by the TOUTLYON Posters. Many other women entrepreneurs in the territory were highlighted. A fine article that pays tribute to these women who are not afraid to undertake and innovate.